Respawn CEO Vince Zampella thanked players today, announcing that Apex Legends had reached more than 10 million players, and had broken 1 million concurrent players in only 72 hours since launch. Three days ago, most people didn’t even know that Apex Legends existed. Respawn’s free-to-play battle royale game saw a quick turnaround from a couple of leaks, to an announcement, and then to release, all within a matter of a couple of days. The big story at the time was that Respawn was setting aside Titanfall 3 in favor of Apex Legends, a game set in the Titanfall universe. (Don’t worry Titanfall fans, more Titanfall is coming, and some think it is indeed Titanfall 3.) And then it started to gain traction. 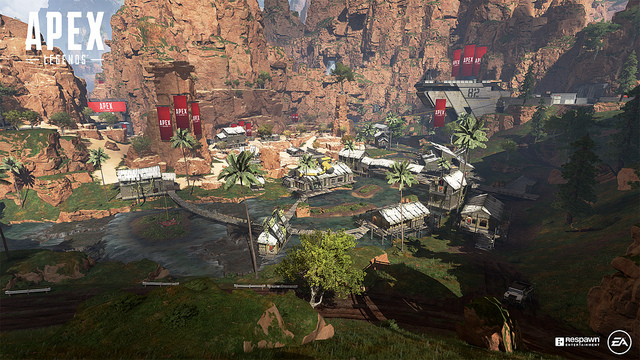 Outside of the bickering debates around EA as the publisher, microtransactions and loot box mechanics, and other internet sniping about the game, Apex Legends quickly hit 1 million players in just eight hours and 2.5 million players by the end of the first day. Those who played it had a lot of positive things to say, and obviously that praise has taken the game much further now. To put this number in perspective, Fortnite’s Battle Royale mode took a full two weeks before it reached 10 million, and it’s currently the biggest gaming trend under the sun. Granted, the industry was a different place at the time and battle royale wasn’t yet a household name, but Respawn has done some impressive things with the genre that make it more accessible than ever. We’ve got our review coming soon, but we can’t blame PMC if he’s too busy playing the game to write up anything about it. Vince Zampella’s message about the game’s success gives a little bit of a window into the development of Apex Legends, including some understandable trepidation about experimenting within the Titanfall universe to do something new. We’re excited to see where Apex Legends fits into gaming in 2019, and how Respawn plans to support the game moving forward.